Where does the light of dreams come from? What I found in trying to answer this question in a once-and-for-all sort of way, out of my so-called expertise, is that I really don’t know. There is tender sweetness in surrender that is actually trying to find us, to pry open our “knowing” in what seems to be a necessary pre-condition for creative receptivity. The only sorts of questions that really matter then are those in which we can become completely lost. Indeed, losing ourselves seems to be precisely the point. For whenever we “know” this way, with a kind of dead certainty, we know alone. While giving us the illusion of being “in the know” and therefore in power, it really just keeps us certain, and dead, repeating what we think we know and what we’ve already experienced in ways that seem novel (at least to us). If, on the other hand, we allow not knowing, it can open us up to a community of not-knowers who are likewise willing, and indeed, wanting, to be lost for the sake of the sorts of questions–like the one Robert Sardello poses–that actually seek our surrender. Questions, that is, good questions, those that are not of the fill-in-the-blank variety, we soon discover, are living beings. Like angels, they call us into being. But it’s usually only after coming to the dead ends of what we think we know, when we admit that we are indeed lost, that we are willing to surrender to them. And make no mistake, it’s surrender they seek. Once we make a sacrifice to the questions themselves, that is, once we “make holy” our small stumbling ideas that we should somehow know the answers, and offer up instead our not knowing, our humanness, our uncertainty and vulnerability, we soon discover that question beings of this nature can only be revealed to themselves through us, through the opening that is made between our very human not knowing and their being. So tending a question, it turns out, is for the sake of the question, and for what’s trying to be discovered through us, through our willingness to hold off knowing and to instead “tend” with open and caring, creative receptivity. In our certainty all this remains utterly veiled. Consider this your invitation then to join me in not knowing. Can we hold and tend with open and caring, creative receptivity the question Robert Sardello poses? Over the next few weeks I’ll be sharing what I notice while tending this question in the sincere hope that you might likewise consider sharing what you may be noticing. 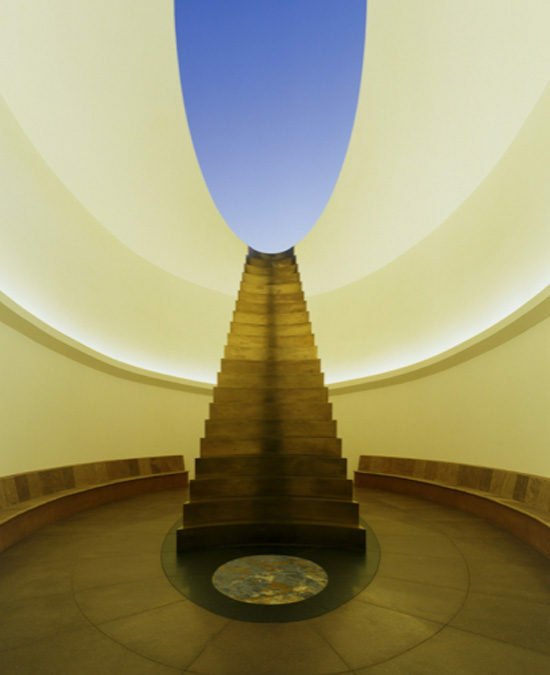 I’ll start by consulting James Turrell–a contemporary artist of light whose works we’ll be visiting at the LACMA in our upcoming April retreat. Please note that there are only a handful of spaces available. For more information, or to sign up, click here.